The blocks are available in two sizes:- 20x15x3cm (8x6in) and 30x20x3cm (12x8in). All photo prints are professionally created to-order by our printing partners Image Bank Australia, and are typically dispatched 4-5 business days after order. We offer free shipping within Australia for print products. Acrylic block prints can be ordered through our online photo archive. Simply search for the image in the archive, click the Add to Cart button, and select the preferred print option. 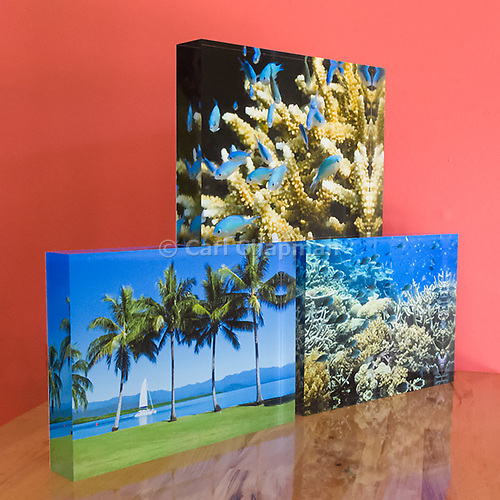 Our most popular Acrylic Block/Ice Mounts are also available from our online store.